When I was in Athens, I was impressed by the colorful graffiti, often times painted in the tunnels under the roads, a great improvement over the sterile cement. 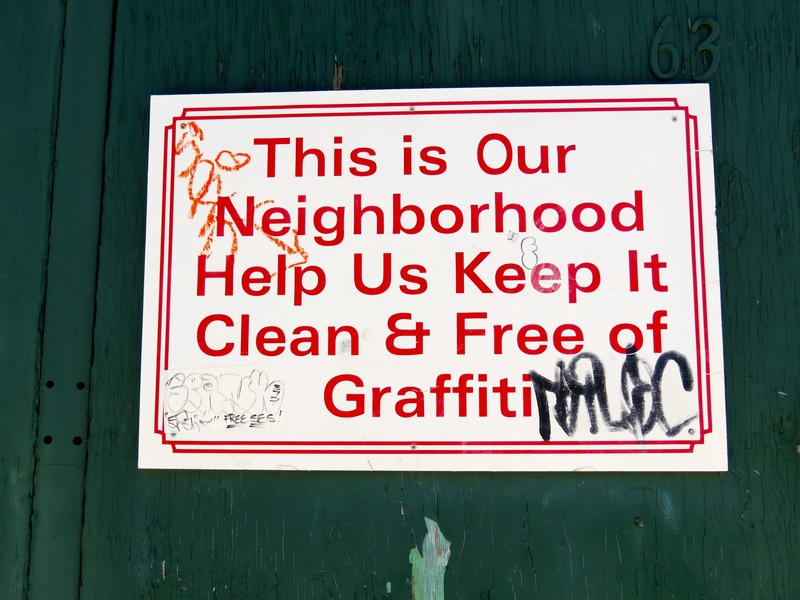 Graffiti can be unsightly (random, incoherent tags) or beautiful. I love how some cities allow artists to work on derelict buildings. Philadelphia’s mural arts program began as part of a anti-graffiti campaign to help local artists work with communities to revitalize neighborhoods and provide opportunities to do art. More than 3,600 works have been displayed in the city. I’ve had some photographic fun with the murals myself: https://psalmboxkey.com/2014/10/31/photograhy-tip-using-art-to-create-scenes/ Thx for commenting. You bring on a whole raft of meanings by your photo: seeing what’s there, as expected of a photographer; the refusal of space to protest; the aesthetics of graffiti; the sign as control. I love how a photographer’s vision can make what they frame more visible to others. Also the sign points out differences in graffiti, from the humble tag (as above) to the sublimities of Keith Haring’s art. One could ask, which is the graffiti, sign or tag? Thanks for your thoughtful comments. Right, there are many complexities to graffiti. On my way into Philly to a Occupy protest years ago, I saw that someone had written a message on the inside of one of the overpasses: How can I make a living when all I do is work. Such a great question about whether a sign can deter anything! I love this thoughtful insight post. Sign that tell us what we must do are rarely appreciated. ; ) Thanks for stopping by and commenting.